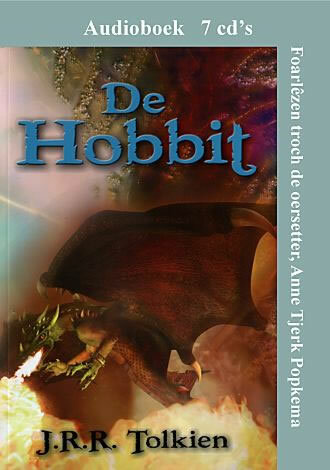 The Hobbit translated to Frisian is available as audio book! Fantastic, not? Really love to listen it. As a Dutch speaker to me this is still kind of understandable, but I guess it is none the less interesting for all people interested in languages. 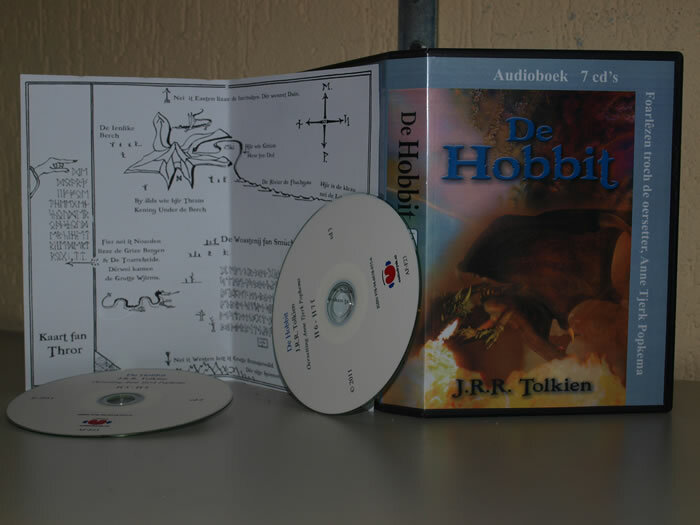 The best combination maybe would be by owning a copy of The Frisian The Hobbit and the audio book and who knows in a while you can understand Frisian! (buy a copy of the book here). One thing is certain, the audio book is a nice addition for all Frisians and a classic that now can be read and listened to by the Frisian people. Congratulations to Anne Tjerk Popkema. Collectors will also be interested to learn that there are rumors of a Lord of the Rings translation to Frisian... keep an eye open on this website and I'll announce it as soon as it is released! Dit klassike 'berneboek foar folwoeksenen' fan J.R.R. Tolkien is de prolooch op The Lord of the Rings, de ferneamde trilogy dy't de &ocirc;fr&ucirc;ne jierren sa bot yn de belangstelling stien hat. De Hobbit, skreaun yn 1937, wie it earste wiere fantasy-boek dat it grutte publyk berikke koe. It is yn 2002 ferkeazen ta it wichtichste boek foar (&acirc;ldere) jongerein yn de 20e ieu, en is oant no ta yn sa likern&ocirc;ch fyftich talen oerset. It tiidleaze mearke fan Bilbo Balsma, in fatsoenlike hobbit dy't ynbrekker wurdt en yn s&acirc;n hasten mei trettjin dwergen en de tsjoender Gandalf op 'en paad moat om in legindaryske dwergeskat &ucirc;nder de wjukken fan in grimmitige draak wei te stellen. &Ucirc;nder de lange reis nei de Berch fan de Draak komt it selskip troch bergen en bosken, oer richels en rivieren. Hja befjochtsje trollen, ierdmannen, spinnen en wolven yn 'e mande mei elven, minsken, earnen en bearen. En fansels mei help fan de magyske Ring, d&ecirc;r't Bilbo mei de lilkaardige Gollum in f&ucirc;le striid om útfjochtet. Ynlisfel:Kaart fan Thror en kaart fan de Wyldkriten, mei de reis fan Bilbo Balsma. De linige oersetting is fan Anne Tjerk Popkema fan Grins. Op it Tolkienkongres fan 20-22 maaie 2011 yn Baarlo (Limboarch) sil Anne Tjerk Popkema ien en oar fertelle oer syn oersetting fan De Hobbit. Ek it harkboek komt sa &ucirc;nder de oandacht fan in protte Tolkienleafhawwers.